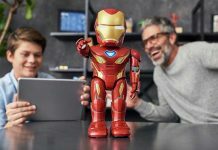 A robot which was initially merely a car or machine messed up in wires and small other devices now has turned something analogous to the things we know. Moving like a dog, knees bent and hips swaying, the robot supervising at a construction site was beyond imagination for many. 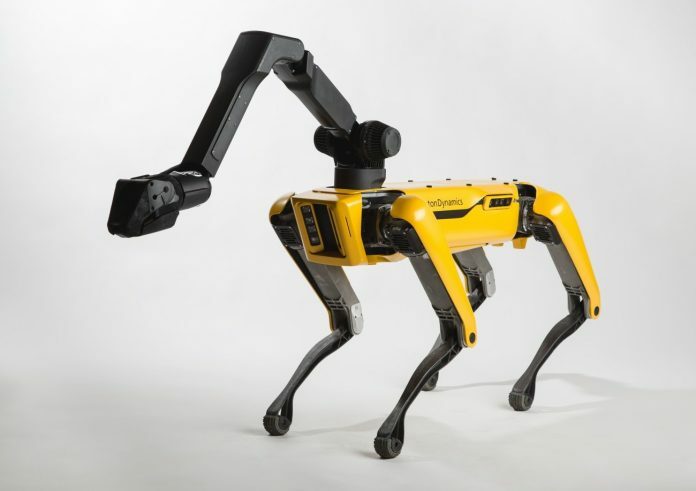 Boston Dynamics, a company widely known for building machines that move like animals and humans have designed the robot called SpotMini. 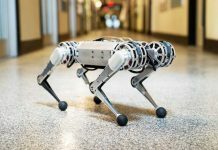 This mechanical dog would be a turning point for an outfit that has bewildered people with both its wondrous technology and its seeming lack of interest in making things someone/anyone would actually want to buy. 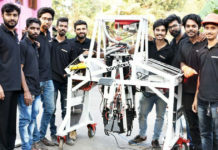 A nimble robot that handles objects, climbs stairs and will operate in offices, homes and outdoors. 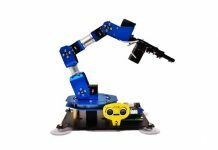 The robot can manipulate objects in its environment, traverse rough terrain, keep its balance when pushed and get back up when tipped over. SpotMini is smaller and cheaper has better balance. It can carry small items on its back, and it can open doors (provided doors have the proper handles). This requires an extra limb that attaches between its shoulders. As the technology enhance robot will pave their feet in every task. It could be a delivery robot, walking packages down the street, up your front steps, and onto your porch. It could also serve as a kind of automated security guard. 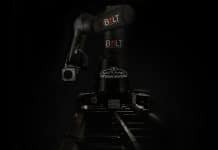 Boston Dynamics has created a three-dimensional map of its lab. Surprisingly, the SpotMini can use this map to navigate the lab on its own. It could, in theory, patrol after everyone else had gone home. 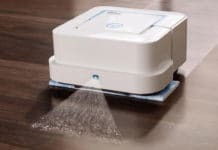 The company has uncovered the latest version of its Spot robo-dog and it wants to put it in the workplace. You can see in video robot autonomously navigates a couple of construction sites. It actually can do this while using a specialized payload for surveying work progress. A camera located at the end of its extendable arm enables Spot to do additional inspection work on site. Though these machines are shockingly lifelike, they have limits. They can handle some tasks on their own, like spotting a curb and climbing over it. But when moving across unfamiliar spaces, like the parking lot outside the Boston Dynamics lab, they still need a human guide. In person, they stumble and fall more often than they do in videos. These robots can climb stairs and can jump on a table. But driverless cars are still years away from everyday use such walking robots are even further.